As we (the board) investigated the situation further, it became apparent that the scope of this misappropriation–in terms of timeline, deceitfulness, and dollar amount–was much larger than expected. We learned that Suzette began taking Exponent II funds shortly after becoming treasurer in 2012 and continued over her entire tenure of five years. This was not an isolated incident or one-time lapse in judgment; she actively chose to steal from Exponent II in over 600 different transactions. She deliberately took measures to hide her activities, such as opening multiple bank accounts, limiting access to those accounts, and falsifying financial statements to make board members think that Exponent II was barely solvent. In addition to taking money from Exponent II’s accounts, she used the organization’s reputation to solicit donations via crowd-sourcing websites, unbeknownst to the board, and retained the funds raised for personal use. We will never know the exact amount misappropriated (we are still awaiting further subpoenaed bank statements and funds taken in cash can never be verified) but the net minimum exceeds $100,000. By the time Suzette relinquished financial control, she had drained and overdrawn the organization’s bank account, including years of hard-earned savings. Since September 2017, Suzette has inconsistently cooperated with our attempts to understand the extent of her crime. She initially confessed to stealing about $25,000 when confronted by the incoming treasurer, who was alerted by an overdraft notice from the bank. As the new treasurer uncovered additional information about the scope of the theft, Suzette was frequently not forthcoming with information and account access. Often, we had to discover evidence of each type of deception before she confessed to it. Although she expressed a desire to make restitution and repaid a small amount, we continue to learn about additional ways that she deceived Exponent II and funds that were taken. After weighing possible courses of action, we made the difficult decision in early 2018 to report the incident to the Federal Bureau of Investigation (FBI), the correct law enforcement agency for crimes that cross state lines. We did not make this decision lightly. Part of our rationale was the concern that Suzette would do this again to another organization. The recidivism rate for white-collar crime is incredibly high, and given her behavior, we had little confidence that this pattern wouldn’t continue. Also, as an organization that shares the voices of women, we felt that it was important to call out abuses of power and hold leaders accountable for their actions. The FBI has now completed the investigation and presented the evidence to Suzette. She pled guilty to the crime of felony wire fraud on November 16, 2018. She will appear before a judge to receive a sentence in February 2019. Over the past year, the board has discussed extensively which details we should share publicly. We have tried to balance the desire to be transparent with the Exponent II community with the need for privacy as the investigation was underway. However, because the court documents are now part of the public record, we can now be fully transparent. (All documents filed by the prosecutor in the USA vs. Suzette Smith case are publicly available at pacer.gov. The most concise summary from these documents is the “Statement of Facts” which is attached at the bottom of this post.) Also, several individuals are being asked by Suzette to provide character witness statements, and we want those individuals to have all the information before deciding whether to do so. As we look to the future of Exponent II, we have put in place several measures to safeguard the organization and prevent this from happening again, even after the leadership of the organization changes. (A link to a list of these safeguards is at the bottom of this post.) We are committed to strengthening Exponent II and being vigilant stewards of its resources, and will continue to assess whether additional safeguards are needed. It has been extremely difficult for us to reconcile this prolonged deception with the relationships we each thought we had with Suzette. We recognize that others likely feel the same way, and we hope that healing can be found within our community. We are so thankful for your generosity and trust. We are humbled to see that Exponent II is still active and thriving despite this setback, and we will do all that we can to continue to carry out the organization’s mission. Oh I am so so sorry this happened. That must have been a devastating discovery. How absolutely awful. 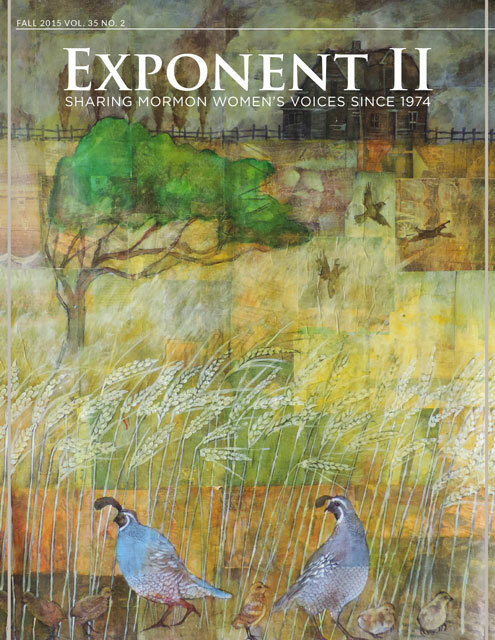 I hope that Exponent II will recover, both from the financial and emotional loss. Proud of you all for uniting in the face of this. Keep up the great work. Do you know if this the same Suzette Smith who has a podcast called Asherah’s Grove? I can only imagine the agony that you folks have gone through trying to be transparent yet protecting privacy. I applaud you for your action reporting this. Stealing from a smaller nonprofit is equal to larger crimes committed in corporations. We can only shake our heads trying to understand the actions of a woman who has sworn fidelity and honor only to lose it for a handful of coins. At this point my pity for her outstrips my outrage, barely. Thank you for your dedication. I can’t believe Suzette would do this to a long-standing, important, and beloved organization that has been built with the efforts and talent of so many amazing women! I grieve that this has happened and hope that Exponent will move forward to rebuild. Like so many others, I offer you my best wishes and encouragement. I’m so sorry to hear about this betrayal. I have the utmost respect for all the rest of you at Exponent II. Wishing you peace, grace, and healing through this all. You are so valuable to Mormon women. Thank you for all you do. Sending love and support. You are elect women about the Lord’s work. God bless. I love Exponent II. While I am disappointed and concerned about this fraudulence, it doesn’t change one bit my trust of the organization and my support of its purpose. Exponent II Board. I’m behind you all the way! Keep up the great work. So sorry you’ve all had to go through this crisis. I so appreciate the voices you express.